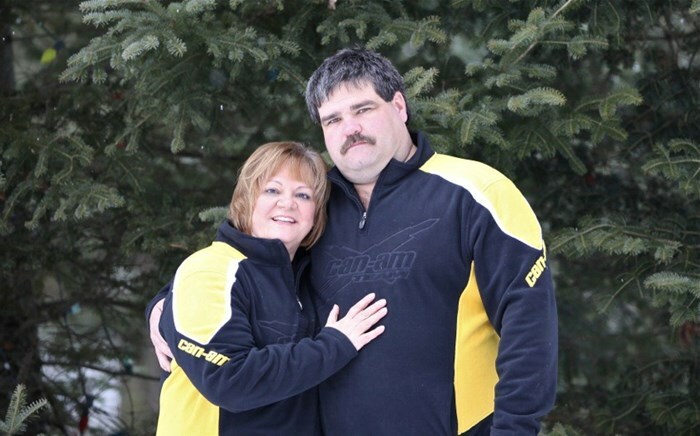 Ontario offers an embarrassment of riches for the ATVer. From wide open gravel to small technical trails, the range of scenery and landscape is truly breathtaking, and can seem overwhelming at times. 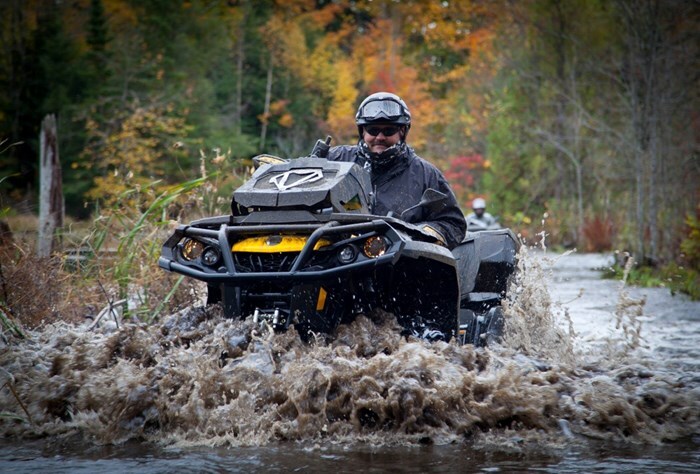 If you’re considering the purchase of your first ATV and are having difficulty deciding between the many choices in today’s marketplace, you are not alone. 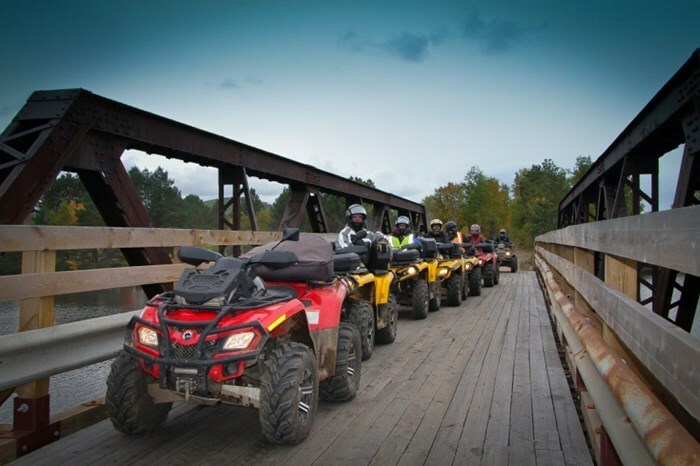 Balancing the utility needs of the Ontario cottager with the desire to trail ride with the ‘big guys’ leaves many people puzzled when shopping for an ATV. The main factors to consider are Engine Size, Transmission/4X4 Drive, Suspension, Features, Price and Reliability. For the average Ontario cottager and weekend trail warrior, finding a balance between the high and low end of these categories is an ideal place to start. Engine Size - A mid-range ATV engine would fall in the 400-550cc range. This size is effective for a single rider, appropriate even for the most technical trails when equipped with proper upgrades and will easily haul an average size load in most of Ontario’s backcountry. 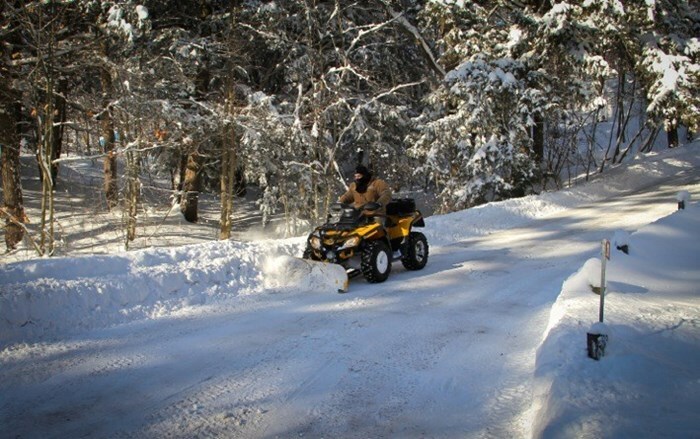 If you are planning on plowing large or incline areas, or if you will be riding with a passenger most of the time, perhaps a jump to a 600-700 would be a better choice. The bigger and faster 800-1000 engines are available but really should not be considered unless you’re an experienced rider with developed skills to manage the high speed and quick throttle response. Transmission / 4X4 Drive - While there are several types of drive systems on the market, we would only recommend a machine with an automatic clutch, 2 and 4 wheel drive option and a high and low range. A manual clutch is far too time consuming and with the advances in technology, no longer necessary. Having only 2 or only 4 wheel drive is too restrictive for an all-purpose machine. The 2-wheel drive only option will leave you stuck in any moderate to serious mud hole, and the 4-wheel drive only model will result in very sore arms by the end of the day. 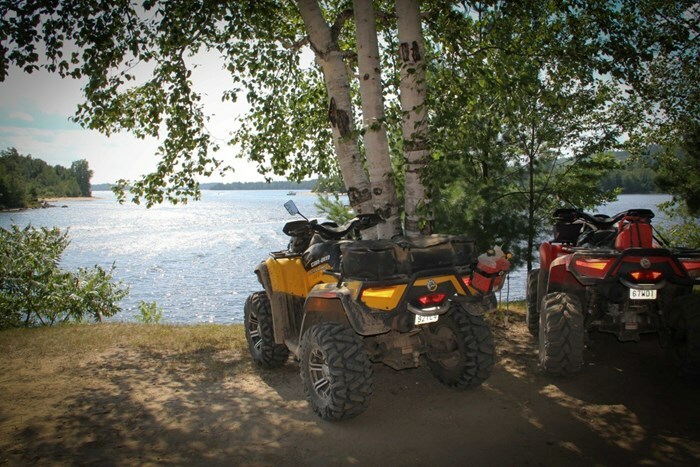 Having high and low range will give you the security you’ll need to maneuver through anything that the trail presents, and the versatility to use the machine for tough jobs around the cottage. Having this option is also environmentally responsible, as 2-wheel drive offers much better fuel efficiency when 4-wheel drive is not needed. Suspension - The type and quality of the suspension may be the most influential aspect of ATV buying. It provides the support for the weight of the machine and cargo, as well as the comfort for the rider and passenger. The suspension must allow for necessary ground clearance to maneuver over and through obstacles, as well as provide clearance for the wheels to remain fluent with room for travel. 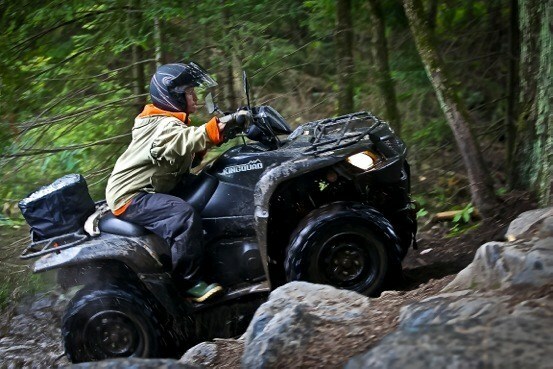 The revolutionary invention of 4 wheel independent suspension changed the marketplace for ATVs. It allows for all 4 wheels to move independently and is adjustable to accommodate load size. It is incomparable and far superior to the previous designs, and we would not recommend considering purchasing an ATV without this feature. Features - There are so many new features available for an ATV that it can be quite mind-boggling. We suggest focusing on the features that are going to effect performance and are directly impacted by your needs in an ATV. Fancy coloured rims and snazzy paint & decals will do nothing for you on the trails. Spend your money upgrading the basic stock tires to a slightly more aggressive tread, 1-2 sizes bigger, which will improve performance greatly. Trust us—nothing looks as cool as the guy that made it through the mud hole! Look for a model that offers electric power steering. Your arms and shoulders will thank you on your first technical trail. If you are going to be carrying a passenger, buy a 2-up model. The extended wheel-base offers proper stability for the extra weight in the back and a more comfortable ride. Look for a package with a winch included. You will be buying one within the first few months anyways. Do some research and try not to get caught up in the bells and whistles. Reliability and Price - With so many brands in a very competitive marketplace, it really boils down to personal preference. Keep in mind that like everything else, you get what you pay for. There are many low-cost imports available offering what appears to be a great deal. But beware of the commonly experienced issues of no warranties, parts or services not being available, extreme issues with electronic components, or machines that are just not durable enough for our Canadian terrain. If you plan on riding around your property and down to get the mail, then these imports are the option for you. If real riding or plow/tow work is in your future, do yourself a favor and buy an ATV from a major manufacturer. As far as which brand to choose, there are some that have exceptional reputations in our circles. Honda is renowned as the ‘Old Reliable’—not always the most comfortable or the fastest, but they last forever. Can-Am is known for performance and are tough as nails. Polaris is boasted as the comfortable, easy ride. Yamaha is technically advanced, being the first to offer power steering. Take a day and visit your local ATV dealers. Ask when they are having a demo day so you can test ride the different models. Find what fits you. In conclusion, buying a ATV requires some homework. The first step is to consider what exactly your needs are in an ATV. Will you be using it for plowing snow in the winter? Will you want to haul a utility trailer behind, full of wood or dirt and gravel? Will you be riding alone or will you typically have a passenger? Is comfort and ease of handling important to you? Is speed and agility rating high as a deciding factor? Is it all about looking mean and aggressive or is it about true performance and versatility? Talk to other ATVers in your area and ask lots of questions. Every ATVer loves to talk about their ride. Once you purchase an ATV please consider joining your local ATV Club. They can show you all the trails and the best places to explore. 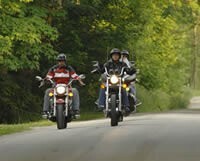 You will progress much faster as a rider when you ride with others that have experience. You will try things in a group that you cannot safely do alone and most importantly, it is a lot more fun! 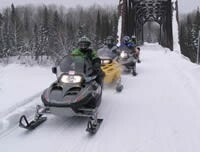 Visit NorthernOntario.Travel for new adventure ideas on your ATV.